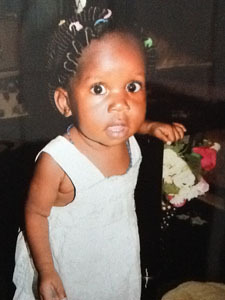 When you give a $10 gift to Imagine No Malaria, how does the money go from your local church to saving lives in Africa? The Rev. Arlindo Romão can attest to how those gifts do far more than buy insecticide-treated bed nets. Romão, a United Methodist and a malaria survivor himself, is the health care coordinator at the Center of Hope, a United Methodist-supported center in rural Mozambique that is dedicated to public health education and disease prevention. The center recently received its first grant of about $10,000 from the Imagine No Malaria initiative. Romão hopes those funds will be just the beginning of church financial support for the center’s efforts to fight the deadly disease. First, he wants to assess the needs. And to do that, it’s best to start small. 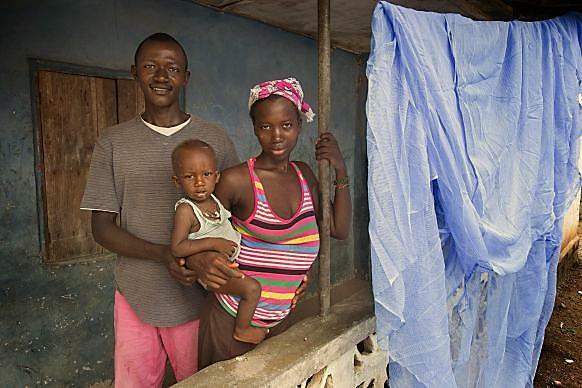 Mozambique, unlike other sub-Saharan African nations, has no shortage of mosquito bed nets. Both the national government and various nongovernmental organizations distribute nets far and wide. “But there is no organization that follows up on how people are using the mosquito nets and what the local environmental issues are, like sanitation,” Romão told an international delegation of church leaders that included members of the United Methodist Connectional Table. He hopes the Center of Hope can fill that gap. 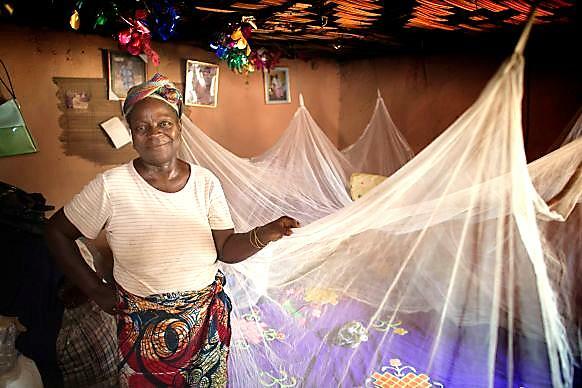 Matilda Ndanema displays the insecticide-treated mosquito net she received from the United Methodist Church’s Imagine No Malaria campaign in 2010 at her home in Bumpe, near Bo, Sierra Leone. Mosquito netting is not a magic bullet to stop malaria. The New York Times in January reported that people in countries across Africa, including Mozambique, are using the tiny-holed nets for fishing rather than their intended purpose, imperiling supplies of a limited food source. According to the U.S. Environmental Protection Agency, the insecticide used in the nets also can cause cancer in humans when ingested. Neither Romão nor other Mozambicans who spoke with the church delegation had ever seen mosquito nets used for fishing. In fact, they pointed out that the government fines people for using the mosquito nets to fish precisely because doing so stresses the population of a diet staple. But Romão did talk of seeing people sleep beneath worn-out nets with holes big enough to let in mosquitoes or not using nets at all. A net typically works for only three years before needing replacement and sleeping under them without air conditioning — as the international delegation learned — can be uncomfortable during Mozambique’s hot, muggy nights. Nets are just one tool in preventing the spread of the mosquito-borne parasite that causes malaria. Another important step is to reduce the standing water where mosquitoes breed. Romão said his center has learned that most mosquitoes develop in households. The center plans to use part of its initial Imagine No Malaria grant to survey conditions in a Mozambican community where — despite national trends — malaria is on the rise. The survey will aim to identify those who are receiving nets from the government and how the nets are being used. The Rev. Gary R. Henderson, the executive director of the Global Health Initiative at United Methodist Communications, was part of the international delegation that met with Romão. “Part of what donors have been asking is what is the impact, what is the difference made by the money being raised,” said Henderson. The center’s survey will provide a baseline from which future progress can be measured. The Center of Hope then can use its findings to apply for more Imagine No Malaria grants, Henderson said, which could end up being worth hundreds of thousands of dollars. 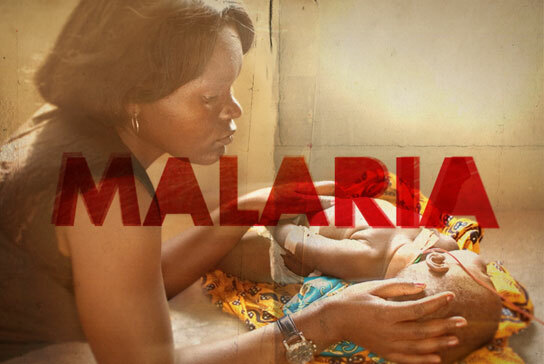 Since April 2010, The United Methodist Church’s Imagine No Malaria initiative has raised around $66 million in gifts and pledges to reduce deaths and suffering in sub-Saharan Africa. The initiative aims to have a commitment of $75 million by the end of the year. So far, the initiative has used those funds to distribute more than 2.3 million bed nets, train more than 11,600 health workers and help support more than 300 United Methodist clinics and hospitals. The Imagine No Malaria grants aren’t awarded to just anyone. “What we are looking at is the need in that area, the successful implementation in the past, and the efficiency — are you getting the right bang for your buck?” said Dr. Olusimbo Ige, a physician and executive director for global health at the United Methodist Board of Global Ministries. Imagine No Malaria works with United Methodist health boards across Africa to implement the grants, she said. Each health board includes health care professionals, lawyers and other experts selected by the United Methodist conferences in Africa. They identify health needs, distribute resources and help document how the money is used. Imagine No Malaria’s technical review panel in New York reviews grant applications from the health boards three times a year. Typically, the panel receives three to five grant requests at each review. The grant distribution system began in 2012 with five health boards and has now grown to 12 health boards. Mozambique is the most recent addition. Paul, in his first letter to the Thessalonians, advised the early Christians to “examine everything carefully and hang on to what is good.” That is a guiding principle for Imagine No Malaria. Each health board is expected to report to the panel regularly about how the money is used, what is working and what is not. They each receive an initial grant for $10,000. “If that is implemented properly and the report completed satisfactorily, you go up to $50,000 and from there to $100,000,” Ige said. After repeated success, a health board can receive grants of up to $300,000. After multiple reviews, the health boards in Sierra Leone, East Congo and Central Congo have all reached the maximum level. The United Methodist Church’s approach, along with the efforts of international partners, is bearing fruit. The number of people dying from malaria has fallen dramatically since 2000 and malaria cases also are steadily declining, said the World Health Organization’s World Malaria Report 2014, released in December. 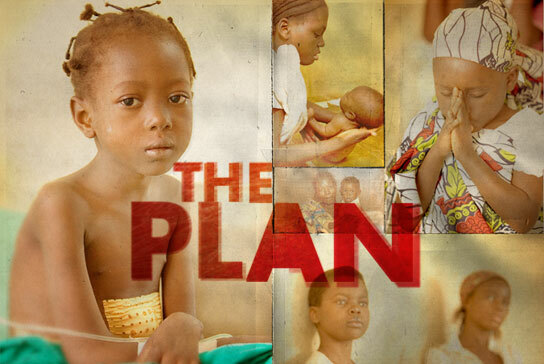 Between 2000 and 2013, the report says, the malaria mortality rate decreased by 47 percent worldwide. In the WHO African Region — where about 90 percent of malaria deaths occur — the decrease is 54 percent. But there is more work to do. Romão pointed out that while malaria rates are declining in Mozambique overall, the disease is still the top killer of children under 5 in his country. Pregnant women and people who are HIV-positive also are especially at risk of dying from malaria, Ige said. Romão, who studied public health administration at United Methodist-related Africa University in Mutare, Zimbabwe, is a member of Mozambique’s health board. Before applying for a grant, he attended training on how to integrate malaria control with his center’s work in preventing the spread of HIV. He also learned how to measure and document grant results. His health board’s first grant will focus on children. In addition to the survey, he said the center’s staff also plans to do educational programs at schools in the targeted community. One of the main problems the center has already identified is that as many as 40 percent of children in the community are not using their government-supplied bed nets. If at the end of the current grant, the center finds that the vast majority of children are sleeping soundly under their nets, Romão said he will consider this first effort successful. When Jesus’ enemies in Jerusalem learned He was becoming more popular than John the Baptist, He left and returned to Galilee in the north. How deep is your faith? Can you take Him at His word, or do you insist on more? If you listen closely you almost pick up a tone of defiance in Jesus’ voice … or is it sorrow? He wants them to believe, but they must believe on His terms, not theirs. Would you be able to trust Jesus and go? The official did. He accepted Jesus’ words and on the way home he learned his faith had been well founded: his son was healed. We don’t need to see miraculous signs to believe in Jesus as our Savior. God uses old familiar words to give us faith; He uses water and His Word to wash away our sins, and He joins His body and blood to simple bread and wine to forgive us all our sins. Don’t stay on the outside waiting to see some miracle in your life before you’ll follow Jesus. Learn a lesson from the official in today’s Scripture passage: the stakes are life and death, heaven and hell. Prayer: Lord Jesus, give me faith to trust Your words and promises through every circumstance in my life. Amen. Imagine No Malaria, an initiative of The United Methodist Church to prevent and treat malaria, has received a Superhero Award from the Rotarians Action Group on Malaria. The award was given during the recent annual meeting of the Alliance for Malaria Prevention in Geneva. Imagine No Malaria, the only faith-based organization represented among the award recipients, was recognized for its grassroots efforts in reaching rural and hard-to-reach areas with its prevention methods. 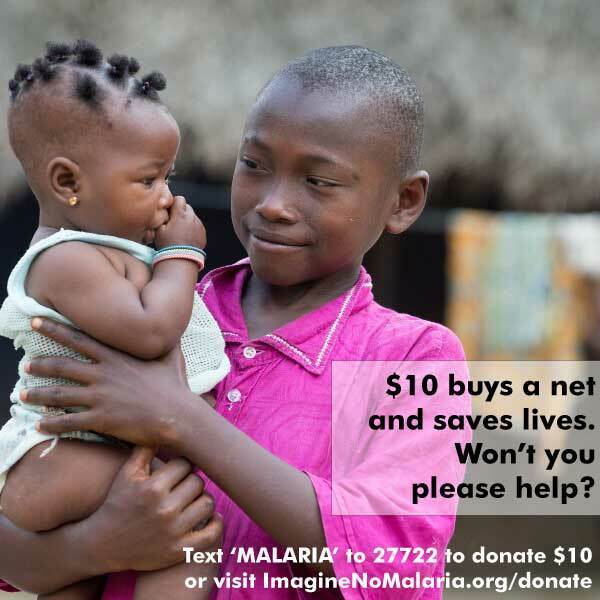 Imagine No Malaria is committed to ending death and suffering from malaria through prevention, communication, trained health workers and facilities, and grassroots education. To date, INM has raised 86 percent of its goal with more than $65 million in gifts and pledges. United Methodists across the world are working hard to reach and celebrate the initiative’s $75 million goal before the denomination’s General Conference in 2016. Safe, secure and easy giving opportunities are available on the site so that anyone can participate and join the effort to eliminate this disease. Visitors can make one-time gifts and pledges of any amount, but many individuals participate with a recurring pledge of $28 per month over three years, to potentially save the lives of up to 100 children at risk for contracting the deadly disease. Additionally, visitors can get a glimpse at the lives Imagine No Malaria is changing through video diaries, touching photos and news stories. Beginning today, our Adult Sunday School Class will begin a special6-week Lenten study of Christ’s 7 Last Words using Adam Hamilton’s study, Final Words. In 24 Hours That Changed the World, Adam Hamilton took us on a Lenten journey through the last day of Jesus’ life. Now, in his inspiring follow-up book, Hamilton examines Christ’s dying hours and his final words as seen and heard through the eyes and ears of those who stood near the cross. 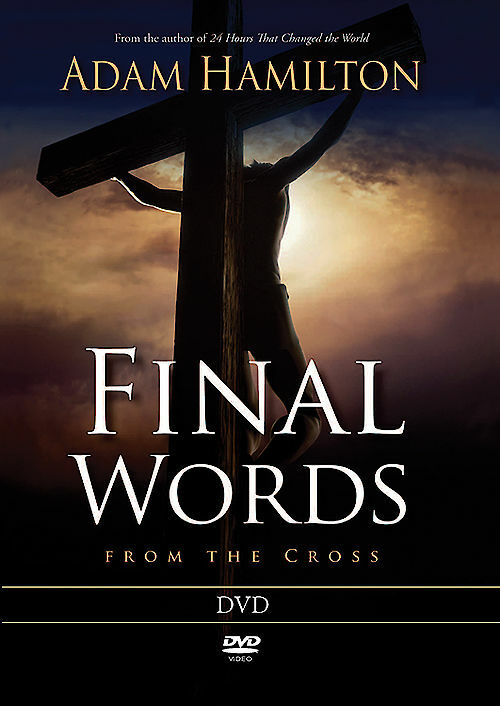 This small-group study DVD contains seven teaching sessions featuring Hamilton providing fresh insight into Jesus’ final words at the cross through the perspective of those who witnessed the crucifixion. Then, he moves beyond the cross to Jesus’ words to the disciples on the road to Emmaus and to those who were witnesses to the Resurrection. Each session is approximately 8-10 minutes. Please join us at 10 am each Sunday in Lent as we explore this study together. 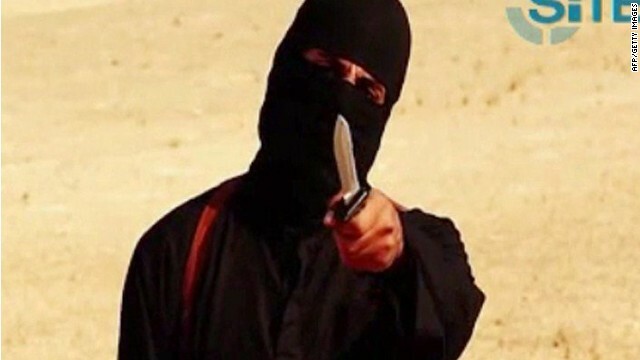 Hackers claiming allegiance to ISIS have posted jihadist content on websites for several churches and organizations, and more web portals are vulnerable to the attacks. Jim Richter, pastor of Westminster Presbyterian Church, a Presbyterian Church in America (PCA) congregation in Johnson City, Tenn., learned about a cyberattack on his church’s site Jan. 22 when a church member sent him an email. The member visited the website and saw “I love ISIS and Jihad,” a violent video, and obscene language. The hackers claimed to be located in Algeria. Richter’s church wasn’t the only hacking victim. The hackers also defaced the websites of Pastor Michael Milton, president of Faith for Living Inc., and Hope Presbyterian Church, another PCA church in Martinsville, Va.
Five More Talents, a web-hosting company for churches and Christian organizations, designed and hosted the three sites on a server in Texas. CEO Douglas Vos said the attacks were random; websites for a community college, wedding planner, and Virginia county government stored on the server were also defaced. These attacks are common in the cybersecurity world. Small businesses, churches, and organizations can expect between 500 and several thousand attempted hacks each month, Vos said. Website hackers break into servers to harvest information or to deface websites, as in this case. Hackers frequently know before software companies when vulnerabilities occur. Meanwhile, the FBI continues to investigate the Jan. 22 hack on Five More Talents. 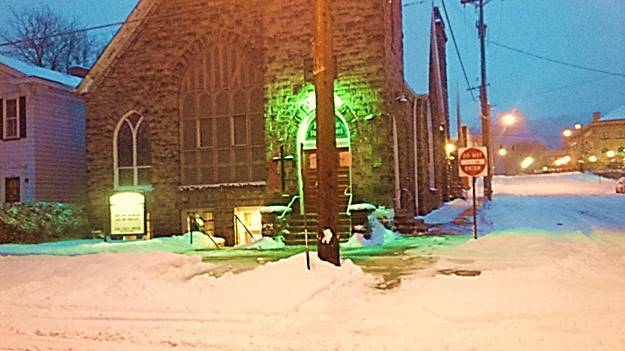 Despite yet another major snowfall during the day today and into tonight, the sidewalks and steps at Central Church are cleared and salted. If you can get out of your driveway tomorrow morning, you can get in our Church. One Wednesday a year, sometime in February or March, you notice someone at work, school, or elsewhere with a smudge on her forehead. It looks as if she missed a spot when washing. Then you see another who looks as though he needs to glance in the mirror. By the time you see the third, you realize it is Ash Wednesday and these passersby must have received the imposition of ashes. This practice we use to mark the first day of Lent may seem odd. People go to church mid-week to have a cleric place dirt on their foreheads. In the early days of the church, it was even more dramatic. Pastors did not dip their thumbs into the ashes to draw the shape of a cross on your forehead. Instead, they poured or sprinkled ashes over your head. Under any other circumstances, most would run from ashes. We avoid cleaning fireplaces for fear of the filth from them, yet we participate in this practice that is growing in popularity. In fact, the receiving of ashes seems to connect with all sorts of people. Several United Methodist pastors will be taking their vials of ashes to the street this Ash Wednesday, to meet people where they are. The Rev. Kim Kinsey offers ashes to a youth on the sidewalk outside of Christ United Methodist Church in Albuquerque, NM. 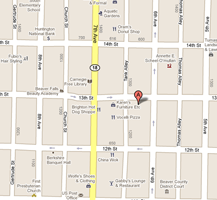 In Clearwater, Florida, the Rev. Emily Oliver of Skycrest United Methodist Church will be applying ashes to the foreheads of those who drive into the church parking lot on the morning of February 18. In Albuquerque, New Mexico, the Rev. Kim Kinsey will spend much of her day on the busy sidewalk in front of Christ United Methodist Church with her pyxis of ashes. Last year she made the sign of the cross on the forehead of one she describes as “tattooed head to foot,” and adults from a nearby housing complex for those with developmental disabilities. In “A Service for Worship for Ash Wednesday” in the United Methodist Book of Worship, two suggestions of what worship leaders may say as they make the sign of the cross on another’s forehead are offered: “Remember that you are dust, and to dust you shall return,” and “Repent, and believe the gospel.” Each points to an aspect of what the ashes represent. Ashes were an ancient symbol of our humanity. In Genesis, we read that God formed human beings out of the dust of the earth (Genesis 2:7). The Hebrew word translated dust, is occasionally translated ashes elsewhere. When Abraham felt the need to acknowledge the difference between him, a human being, and the infinite God, he referred to himself as dust and ashes. “Let me take it upon myself to speak to the Lord,” he said, “I who am but dust and ashes” (Genesis 18:27). Our humanity also calls to mind our mortality. After expulsion from the Garden of Eden, the first human beings are told by God, “you are dust, and to dust you shall return” (Genesis 3:19 NRSV). We know the day is coming for each of us when we will return to dust. We wear black as a sign of mourning. Ancient people wore ashes. For example, a priest named Modecai puts on sackcloth and ashes to grieve the many deaths he sees coming from an order King Ahasuerus gives to kill all Jewish people (Esther 4:1-3). The prophet Jeremiah later calls the people of God to “roll in ashes” as a way of mourning the coming devastation from an opposing army (Jeremiah 6:26). Receiving the imposition of ashes is a powerful way to confront our humanity and mortality. They remind us that we are not God, but God’s good creation. In them we recognize that our bodies will not last forever, and come face-to-face with the reality of our eventual death. Ashes also signify our sorrow for the mistakes we have made. People in ancient times wore sackcloth and ashes as a way of expressing their repentance of their sins. When Jonah reluctantly preached to the people of Nineveh after the giant fish spit him up on the beach, the King and his people put on sackcloth and sat in ashes. God saw this act of repentance and spared the people (Jonah 3:1-10). In the New Testament Jesus mentions this practice. Warning the cities of Chorazin and Bethsaida Jesus said, “if the miracles done among you had been done in Tyre and Sidon, they would have changed their hearts and lives and put on funeral clothes and ashes a long time ago.” (Matthew 11:21 CEB). The dried palms from the previous Palm Sunday are burned to make the ashes used for Ash Wednesday. The palms waved the previous Palm Sunday to welcome Jesus as our King, have been burned to form the ashes. In some sense, they serve as a reminder of how far we fall short of living up to the glory of Christ. While this may sound fatalistic, it is not the end of the story. Lent leads to Easter, the day we celebrate that though our bodies are temporary and our lives are flawed, a day of resurrection will come when we will live in the presence of God forever. One Wednesday every year we go to church remembering who we are, and hopeful of who we can be. 00This practice became part of our official worship resources in 1992 when General Conference adopted The United Methodist Book of Worship. It is optional to use it. Learn more about Lenten practices in The United Methodist Church. What does the term ‘Lent,’ which comes from ‘lencten,’ mean? 00Lent comes from the Anglo Saxon word lencten, which means “spring.” The root words mean “long days,” and this combination probably refers to the increasing daylight at this time of year. Lent’s 40 days represent Jesus’ time in the wilderness, enduring temptation and preparing to begin his ministry. How Did the Early Church Observe Lent? In addition to being a time to remember the mercy and forgiveness of Jesus, the early church used Lent to prepare converts for baptism, and to offer opportunities for those who had been separated from the church to be reconciled. Today Lent remains an ideal time to remember our baptism and to reconcile relationships with those we may have harmed. All of this signifies to us our sinfulness and the sacrifice of Jesus which makes our forgiveness possible. 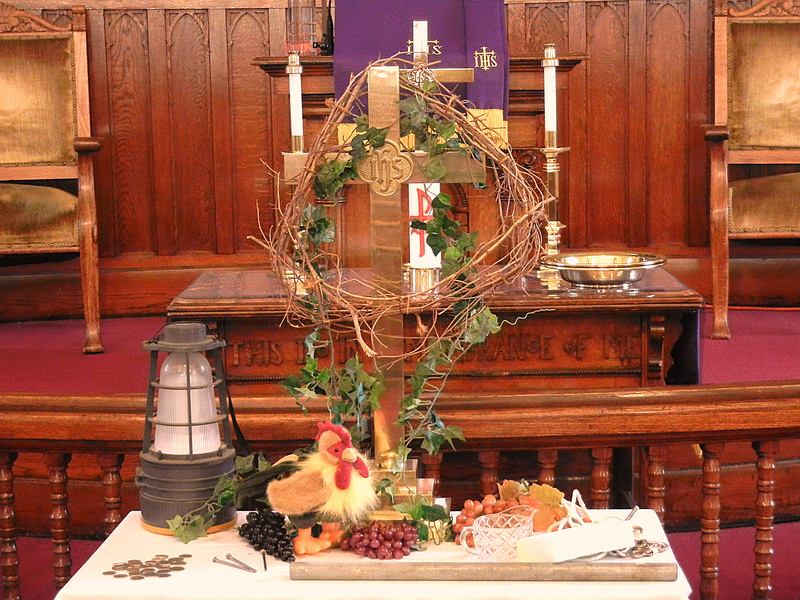 Lent, the period of 40 days that precedes the celebration of Easter, has its origin in the early days of the Church. Converts seeking to become Christian, who at that time were mostly adults, spent several years in study and preparation. Under the threat of Roman persecution, becoming a Christian was serious business, so their process of preparation was intensive! Then they went through a final period of “purification and enlightenment” for the 40 days before their baptism at Easter. The rest of the Church began to observe the season of Lent in solidarity with these newest Christians. It became an opportunity for all Christians to recall and renew the commitment of their baptism. Today we know Lent as a season of conversion: we acknowledge the ways we have turned away from God in our lives and we focus on turning our hearts and minds back toward God. Hence the three pillars of Lent are prayer, fasting and almsgiving. 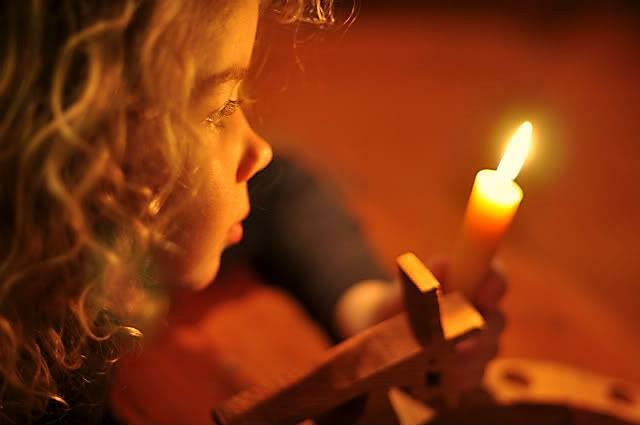 These observances help us turn away from whatever has distracted or derailed us and to turn back to God. Giving up something for Lent is ultimately a form of fasting. We can deprive ourselves of some small pleasure or indulgence and offer that sacrifice up to God. Or we might “give up” a bad habit such as smoking as a way of positively turning our life back towards what God wants for us. 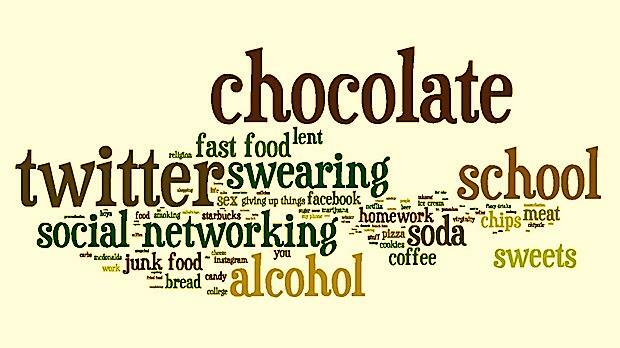 Nearly one in five Americans observed Lent last year, and more than half a million tweeted about their fast. An experience of want, however temporary, can help us to appreciate the true abundance in our lives. And a small positive change can have a big impact that lasts beyond the 40 days of Lent. Take the time now to think about what you might give up this year. Is it something you enjoy that you want to sacrifice for a while, like your daily latte? Or is it a bad habit you want to conquer, like running in late to meetings with co-workers? Or perhaps you want to turn your cell phone off for a few hours each day and not let it distract you from the loved ones you are with in real time? 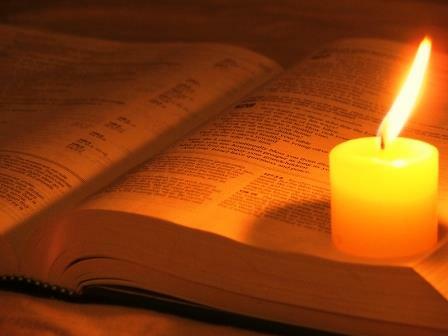 Find something that works for you, and whatever it is, may it help you to turn towards God in this holy season of Lent. Lent is a season of being invited by God in a deeply personal way. “Come back to me, with all of your heart,” our Lord beckons. “We will,” we respond, but we aren’t quite ready yet, our hearts are not prepared. We want to squirm, evade, avoid. Our souls not yet perfect. We are not ready for God to love us. Yes, of course we want to have a deeper relationship with God, we tell ourselves earnestly. And we will….Soon. God calls to us again: Come back to me, with all of your heart. Ok, ok, I really will. Just a few more things to do at work. 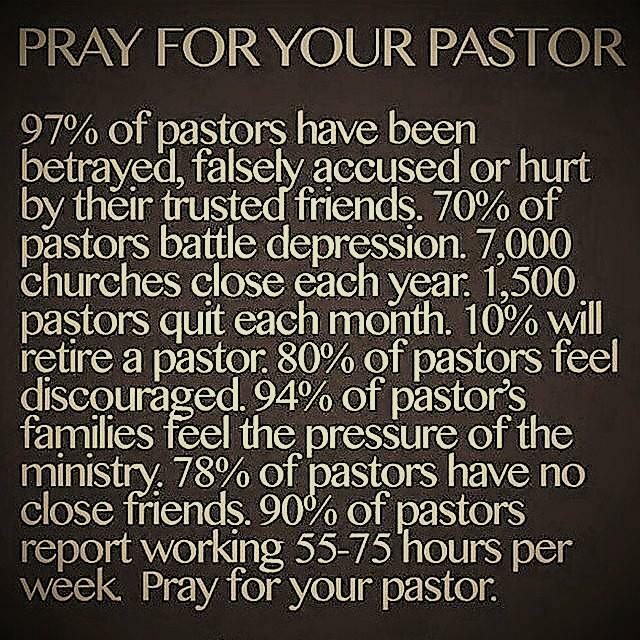 Let me spend a little more time in prayer first. Let me clean my oven, tidy my closets. Sell my yoke of oxen. Check a field I have purchased…. It is an extraordinary invitation to each one of us. To me in a personal, individual way. God invites me to drop the defenses that I hold up between myself and God. All God wants is for me to realize that my standards, my way of judging and loving are so very different from God’s way, and so much smaller. God offers an entire Lent season, an entire lifetime, of loving me unconditionally, no matter what I have done or how much I think I have hidden from God. In North America, Lent falls in winter and these days are cold and dark, perfect for hiding ourselves indoors, perfect for hiding from God – or so we imagine. But our God is insistent, loving, gently prodding. 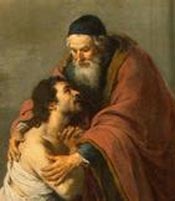 God is the parent of the Prodigal Child, waiting faithfully, eagerly on the road for our return, night after night. There are no folded arms and stern judging stares, only the straining eyes of a parent eager for our return, longing to embrace us and rejoice in us. What’s the next step on our journey home? We could take the earliest moments of our day, before we have gotten out of bed to thank God for such a loving invitation and ask for help in opening our hearts to it. We could remember throughout the day the invitation that has moved our hearts: Come back to me, with all of your heart. And we can rejoice along with God. 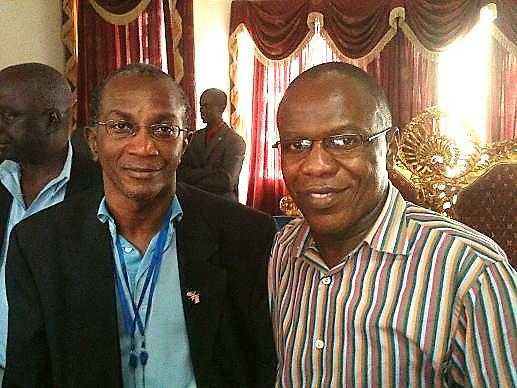 Dr. Francis Kateh, right, and Dr. Stephen B. Kennedy, left, took the experimental Ebola vaccine and testified before Liberia’s legislature that the vaccine trials are safe. In the UK, there is a ‘missing generation’. There are children being brought up now who have never heard of God and have no concept of the church. Once at school they learn about religion as a subject alongside Mathematics, History and Science. One of the main problems is that their parents, those adults in the 20-40 age bracket, have had no experience of church themselves, or if they have it was as very small children in Sunday School. In order to address this ‘gap’ in society and to give unchurched families an introduction to the Christian faith many churches in the UK are turning to ‘fresh expressions’ of church, an initiative being followed by several denominations including the Methodist Church. ‘Fresh Expressions’ are new ways of being church, often organized alongside a traditional church but with their own identity and way of expressing themselves. One such ‘fresh expression’ is Messy Church, which was been growing and developing not only in the UK but across the world since 2006. Messy Church combines Bible-based craft activities and worship with the chance to share food together as a whole family. 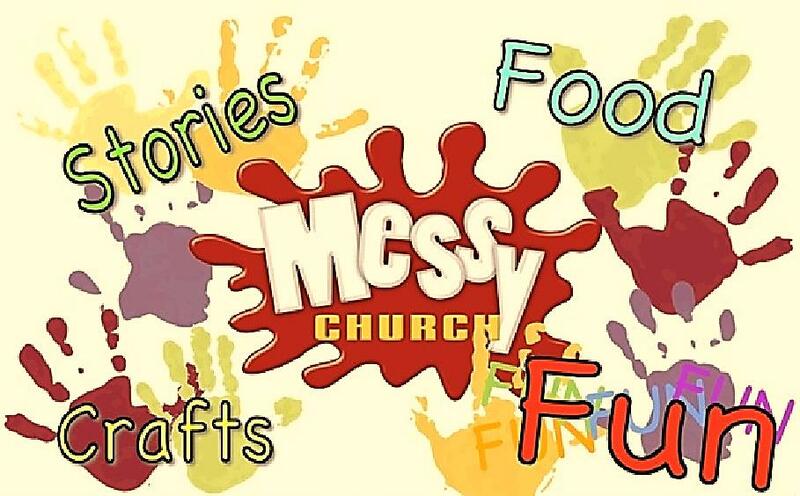 Messy Church is ‘trying to be a worshipping community for all ages, centered on Christ, showing Christian hospitality – giving people the chance to express their creativity, to sit down together to eat a meal and have fun within a church context. Those churches which have started a Messy Church have seen a positive response from families who have previously had no church experience. Families, both the children and adults, ask questions, because the atmosphere is relaxed and conducive to discussion. There is no pressure to ‘do’ anything or join anything nor to attend regularly, but experience has shown that over time families begin to get a sense of belonging to Messy Church, friendships develop and the questions get deeper. Messy Church is a place where new disciples can be very carefully nurtured – never forcing ‘religion’ but allowing the seeds of faith to start to grow.